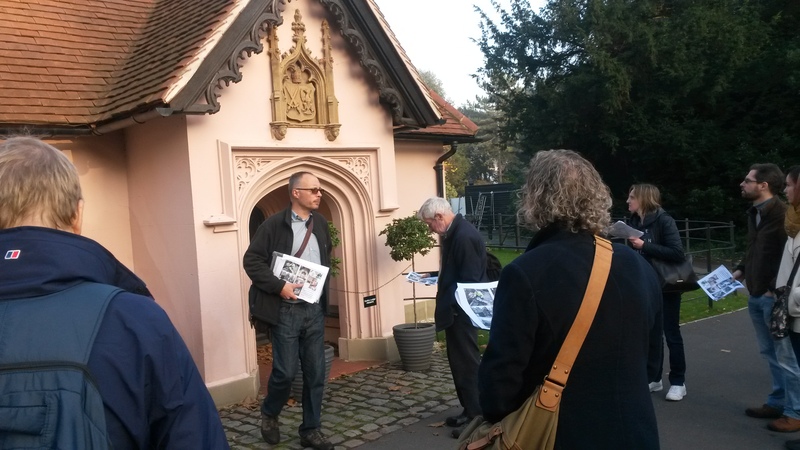 Exclusive CBA London guided visit to Fulham Palace – Sunday 1 November 2015CBA London’s latest event was an atmospherically foggy visit to Fulham Palace with two of the archaeologists who’ve been investigating the site – Phil Emery since the 1980s, and Keith Woodhouse since the 1970s. Evidence of habitation on the site goes back to the foundation of a country palace by the 7th century Bishop of London, and further signs of human presence extend into Roman and prehistoric periods. 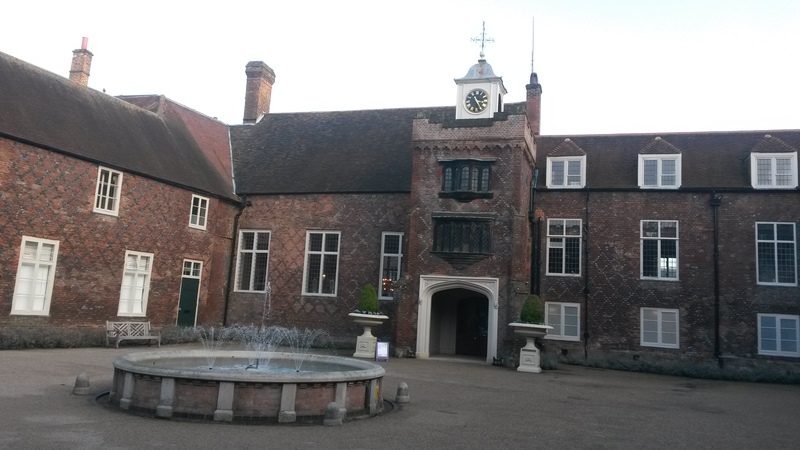 The whole picture is challenging to come by though, as the mainly Tudor Palace is a grade one listed building sitting in a scheduled ancient monument, and includes a very long moat, extensive gardens and numerous structures. Nevertheless, the archaeology has significantly contributed to the direction of the extensive renovations over the past few decades. The term ‘hidden gem’ is a bit of an overused cliché, but it’s fair to say that this fascinating site and its history came as a big surprise to those who’d not visited before. Just as interesting to explore for many was how the mysteries continue to be cracked, as little keyholes and non-invasive techniques reveal more archaeology to inform the continuing restoration. Please visit our Events page for more information on upcoming events. This entry was posted in Uncategorized on November 9, 2015 by cbalondon.